UNITED NATIONS, Dec 23 (IPS) - A new Ebola vaccine may be the first to successfully protect against one of the world's most lethal pathogens, according to a trial involving over 11,000 participants in Guinea. The results of the trial - which was led by the World Health Organization together with Guinea's Ministry of Health, Medecins sans Frontieres (MSF) and other international organisations - were published in British Medical Journal The Lancet Thursday evening. "Ebola left a devastating legacy in our country,"said Dr KeÏta Sakoba, Coordinator of the Ebola Response and Director of the National Agency for Health Security in Guinea. "We are proud that we have been able to contribute to developing a vaccine that will prevent other nations from enduring what we endured." Alongside Liberia and Sierra Leone, Guinea was one of the three West African countries most affected by the Ebola outbreak of 2013 to 2016, which killed more than 11,000 people. The vaccine was trialled in Basse-Guinée in Western Guinea beginning in 2015 when the disease was still occurring in the region. Of the over 5,800 people who received the vaccine, none were recorded as having Ebola 10 days or more after vaccination. By comparison, among those who did not receive the vaccine, 23 cases of Ebola were recorded. Known as rVSV-ZEBOV - Vesicular Stomatitis Virus–Ebola Virus Vaccine - the vaccine was first developed by the Public Health Agency of Canada, an arm of the Canadian government. Although rVSV-ZEBOV offers new hope that future Ebola outbreaks can be prevented, eradicating the disease will require much more than a successful vaccine trial. 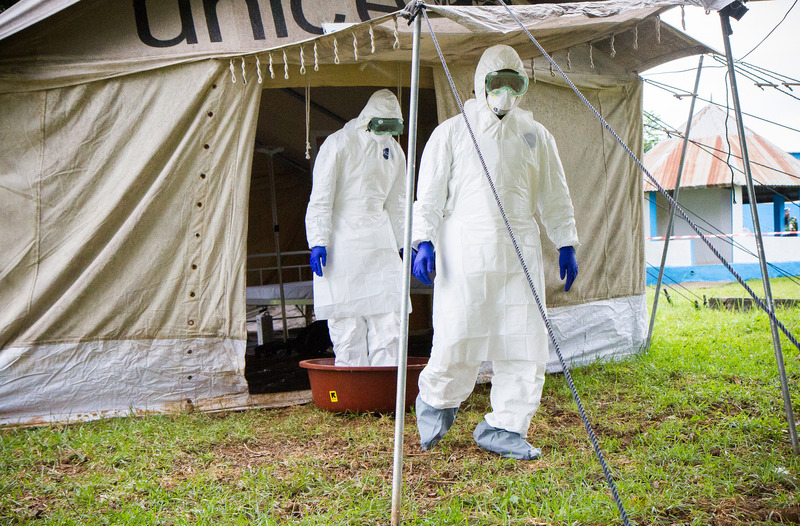 For the three countries most affected by Ebola - Liberia, Sierra Leone and Guinea - a much broader response is required. This response must include training - and retaining - a skilled health workforce. Liberia, for example, with a population of 4.1 million people, has less than 50 physicians, or just one doctor per 100,000 people, according to data compiled by Afri-dev.info. By contrast, one of the main reasons Nigeria is considered to have been able to prevent the disease from spreading widely, is because of that countries relatively high number of skilled health workers. The possibility of using rVSV-ZEBOV to stop future outbreaks is still some distance in the future. The vaccine is yet to be submitted for regulatory review - although it has been granted special status by US and European drug administrations which will allow it to pass through this process faster. Should the vaccine pass the regulatory process it will then need to be widely administered - another challenge. Many diseases which are vaccine curable, such as yellow fever and polio, have persisted for decades despite the availability of an affordable vaccine. According to MSF Access, governments and pharmaceutical companies could be doing much more to ensure that existing vaccines reach those most in need.